A free certified one-hour pre-recorded webinar for radiologists, radiologic technologists, neuroradiologists, medical physicists, referring physicians, pharmacists, and pharmacy technicians. Data regarding gadolinium deposition in patients who have undergone contrast-enhanced MRI are rapidly evolving. Further research is needed to evaluate the clinical significance, if any, of these findings. In the meantime, radiologists and referring physicians must ensure informed decision-making about the benefits and potential risks to patients undergoing a contrast-enhanced MRI examination. This lecture will discuss the relevant physicochemical properties and classification of gadolinium-based contrast agents, review recent literature on the deposition of gadolinium, and discuss recent changes to the ACR recommendations for screening patients undergoing GBCA examinations. The UEMS-EACCME® has mutual recognition agreements with the American Medical Association (AMA) for live event and e-learning materials. For more information go to http://www.uems.eu/uems-activities/accreditation/eaccme. Postgraduate Institute for Medicine designates this continuing education activity for 1.0 contact hour(s) (0.1 CEUs) of the Accreditation Council for Pharmacy Education. (Universal Activity Number – 0809-9999-18-252-H01-P). Robert E. Lenkinski, PhD, is Professor of Radiology and Vice Chair of Radiology Research at UT Southwestern. He holds the Charles A. and Elizabeth Ann Sanders Chair in Translational Research, and the Jan and Bob Pickens Distinguished Professorship in Medical Science, in Memory of Jerry Knight Rymer and Annette Brannon Rymer and Mr. and Mrs. W.L. Pickens. Before joining the faculty at UT Southwestern in 2011, Dr. Lenkinski served as Professor of Radiology at Harvard Medical School. Earlier academic appointments include Visiting Assistant Professor of Chemistry at the University of Houston, Research Assistant Professor of Psychology and Biophysics at the University of Illinois College of Medicine in Chicago, Assistant Professor of Biochemistry at the University of Alabama in Birmingham, Visiting Assistant Professor of Chemistry at the Weizmann Institute of Science, Associate Professor of Chemistry at the University of Guelph in Canada, and Associate Professor of Radiological Science at the University of Pennsylvania School of Medicine, where he received his first appointment in Radiology. Dr. Lenkinski is a lanthanide chemist by training. A major focus of Dr. Lenkinski’s research involves developing, validating, and applying magnetic resonance spectroscopic (MRS) and multinuclear imaging methods for the study of human disease. He wants to understand how the metabolic information derived from these methods can aid in the diagnosis, staging, and treatment of a variety of pathologies. Current applications involve brain tumors, breast cancer, prostate cancer, and renal function. Dr. Lenkinski is also investigating targeted molecular imaging agents, including lanthanide-based MRI relaxation and shift reagents and their conjugation to low-molecular weight ligands and their analogous PET tracers. He wants to develop targeted agents for imaging of micro-calcifications in human breast cancer. Additional research involves the development and validation of a number of quantitative MRI methods, including arterial spin labeling, dynamic contrast-enhanced MRI, and diffusion weighted MRI for the study of human disease. 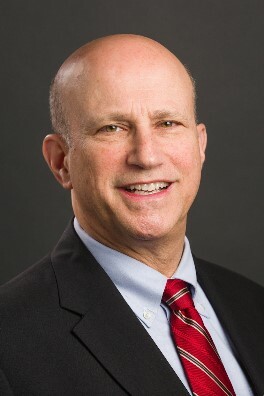 After graduating Phi Beta Kappa from the Massachusetts Institute of Technology, Dr. Weinreb received his medical degree from the Mount Sinai School of Medicine. He has held faculty positions at University of Texas Southwestern Medical School, Columbia College for Physicians and Surgeons, and New York University School of Medicine, where he was Director of MRI for 15 years and led a group that pioneered the development of Body MRI, Breast MRI, and MRA. Yale has been his home since 2002. Dr. Weinreb is currently Professor of Radiology and Biomedical Imaging at the Yale School of Medicine and Chief of MRI at Yale-New Haven Hospital. He is a leading authority on MRI contrast agents, MRI safety, and the use of MRI for the abdomen (focusing on the liver), and pelvis (focusing on the prostate). A noted educator and lecturer, he has presented more than 900 invited lectures and has been a frequent Visiting Professor throughout the world. Dr. Weinreb has authored/co-authored more than 200 published manuscripts and 3 textbooks, and he has been on the editorial boards of numerous medical journals. As Chairman of the American College of Radiology Commission on Quality and Safety, Dr. Weinreb spearheaded efforts to improve the quality of medical imaging in the USA. Recently, he led an international effort to develop PI-RADS v2 (Prostate Imaging Reporting and Data System Version 2) to standardize the acquisition, interpretation, and reporting of prostate MRI, and the manuscript was recognized as the Best Clinical Research Paper published in European Urology for 2016. He has served as President of the SCBT/MR, President of the New York Roentgen Society, and Vice President of the ACR, and he currently chairs ACR RADS Steering Committee. He is the recipient of the 2017 ACR Gold Medal Award. Robert E. Lenkinski, PhD has received consulting fees from Aspect Medical Imaging and has received a research grant from Philips Healthcare. Jeffrey C. Weinreb, MD, FACR, FISMRM, FSCBT/MR has received consulting fees from Bracco.